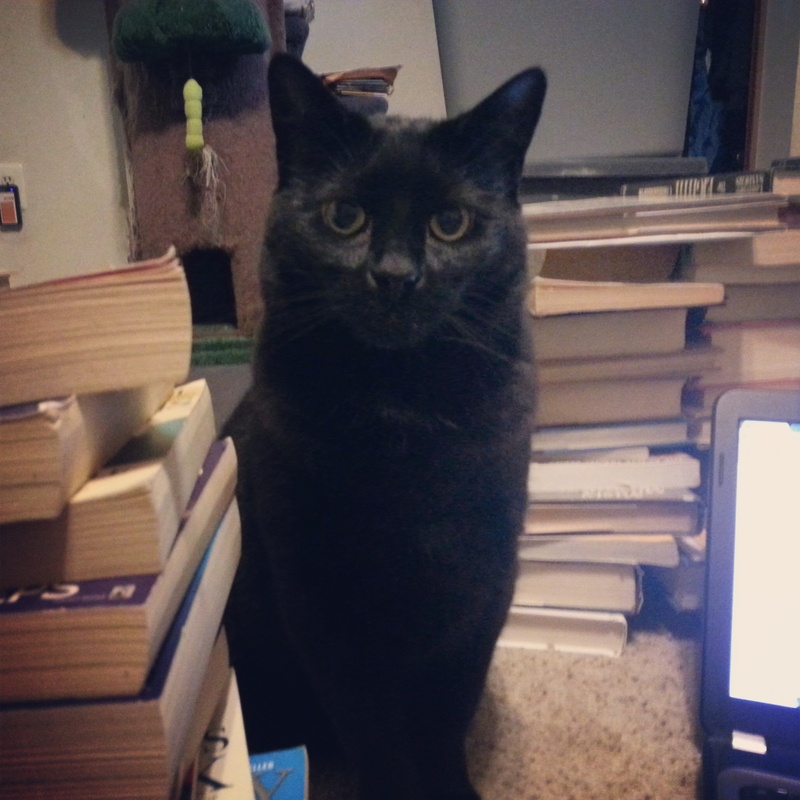 Day one, supervised by Boogeyman (pictured left), consisted mostly of trial and error while Al and I searched for the ideal cataloging software. We want to be able to log the book easily (preferably scanning it with a scanner), note the condition, and be able to upload it to Amazon. We still aren’t sure the program we are using is the best but after wasting the better part of day one we picked one and started digging. At the end of the second day we have 6 bins (320) completely catalogued. We also have half a bin of more difficult books catalogued. The Immediate Issue- Not all of the books have ISBN numbers. As we quickly discover ISBN numbers have been around since the 60’s. Some books have Library of Congress Numbers and card catalog information while other books have no identifiers. Needless to say, some books are a lot easier to catalogue than others. Book Markers- Any guesses to what the most commonly used book marker item is??? Come on think about it…… receipts! That’s right, so far I have found more receipts as books markers than anything else. I found one really cool postcard from the Art Museum in Philadelphia. 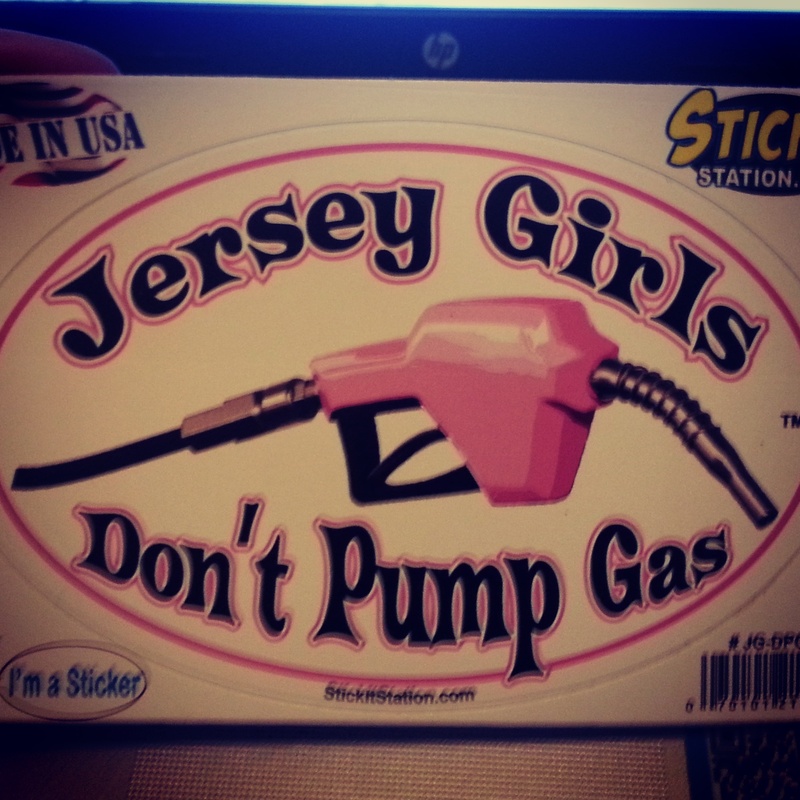 The best book marker was a sheet of smiley face stickers UNTIL I found my trophy book marker… a sticker that states, “Jersey Girls Don’t Pump Gas”. Pet peeve- My main pet peeve thus far is with college kids. Stop highlighting and writing in your books. MY second pet peeve is that if you use those little sticky tab things, REMOVE THEM! 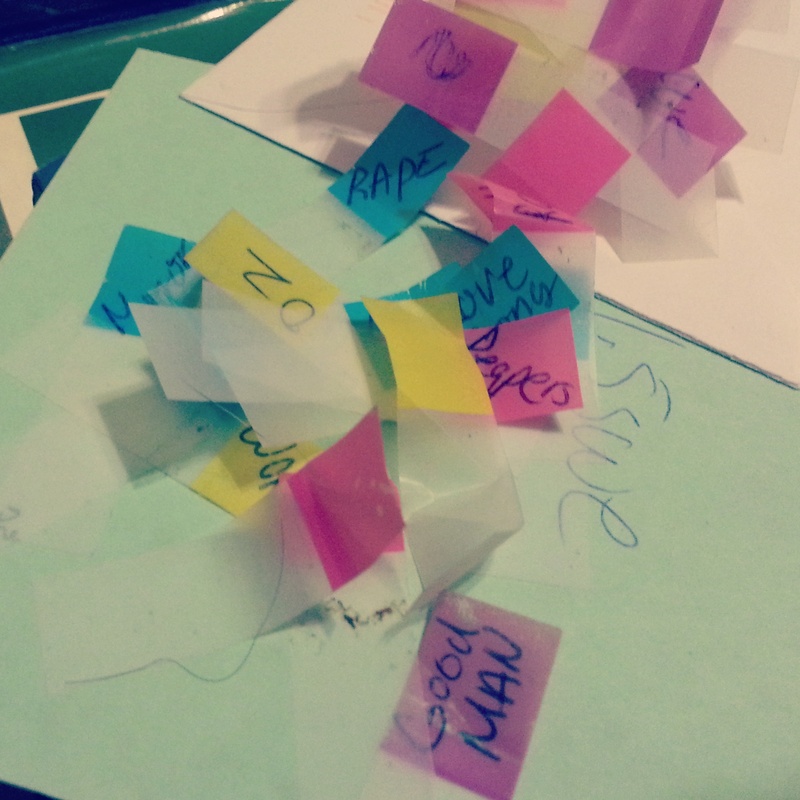 I’ve wasted about 10 minutes of my life so far removing sticky tabs from textbooks. I’m not saying I could’ve found a cure for AIDS or cancer in those 10 minutes but I know I could’ve done something way better than removing stickers. Autographs- Days 1 and 2 yielded one autographed book. It’s Newt Gingrich. I was excited we found one so it didn’t really matter to me who it was. Weird things- I think this is weird but it’s probably something only rich people with extensive book collections do so it’s actually eccentric. Two books I have come across have initials and a name sealed in them. I assume they are part of a person’s private library. 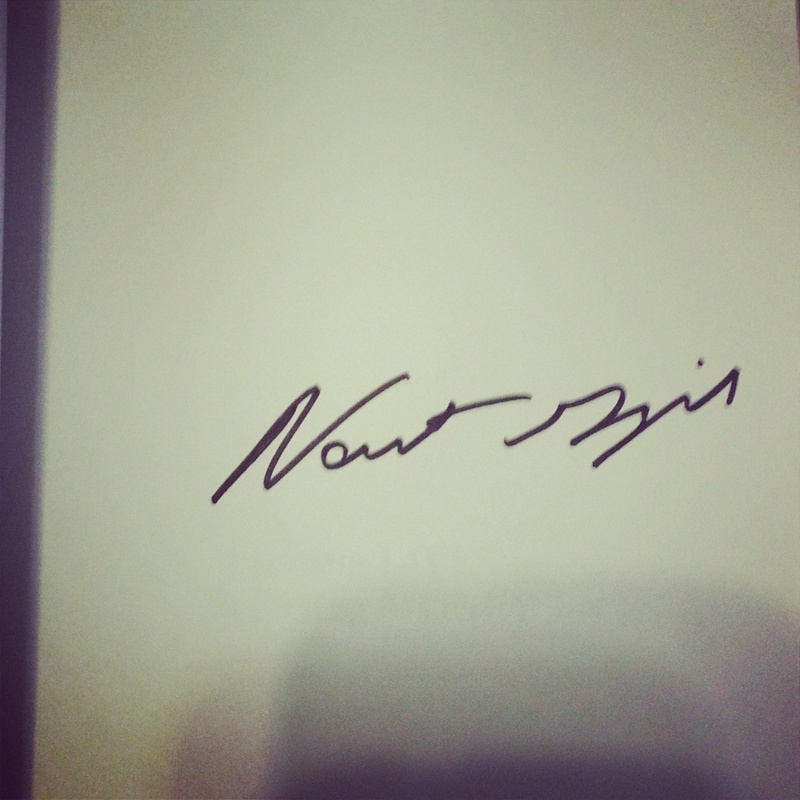 One guy even wrote a brief critique on the inside cover. I didn’t know sealing your initials on books was a thing… now I do. The NEXT issue- Not everything we have is a book! There are VHS tapes, magazines, cassette tapes, catalogs, and even sheet music! I have no clue what we’re going to do with the cassette and VHS tapes. The magazines we can research and maybe even list as lots. My FAVORITES- Thus far I have two favorites. 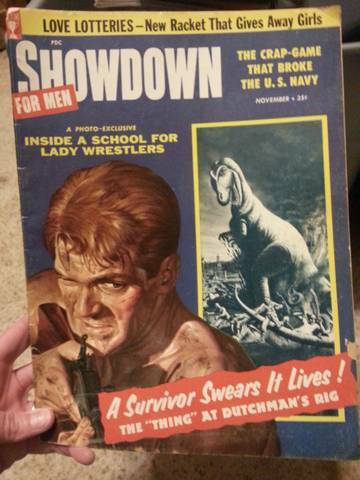 One is a men’s magaizine from the late 50’s titled Showdown. The ads are priceless and the language in the articles is so dated it’s beyond amusing. 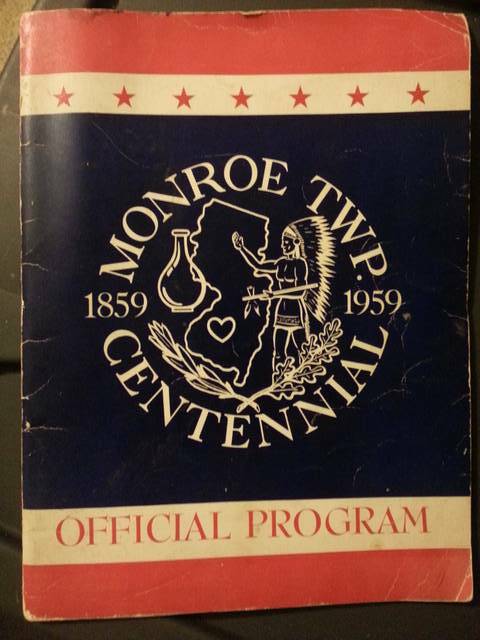 My ultimate favorite is a program from 1959 that celebrates the Centennial of Monroe Township. 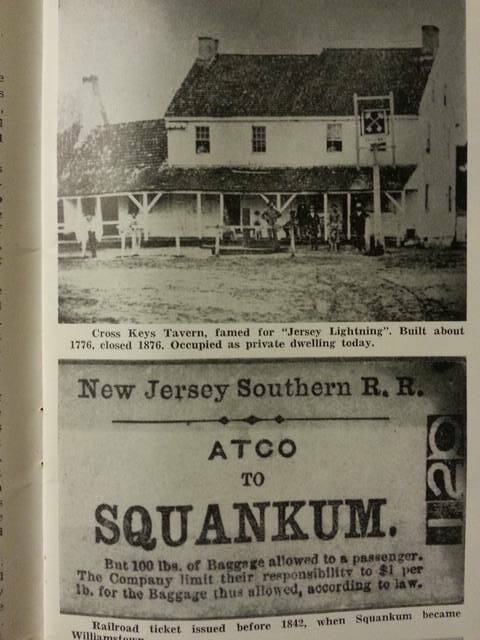 The program has a complete history or Monroe Township with a great part about how Williamstown was once called Squankum which comes from an old Indian name that means, “Place of Evil Gods”. The assumption is that the evil gods being referenced were mosquitos that were numerous in the area. It’s so neat to look at all of the old pictures and the old names in the book. You can literally see the people who have roads names after them! Peter Cheeseman was a traveling butcher while Hiram Hurf was a storekeeper. The landscape pictures are also amazing. 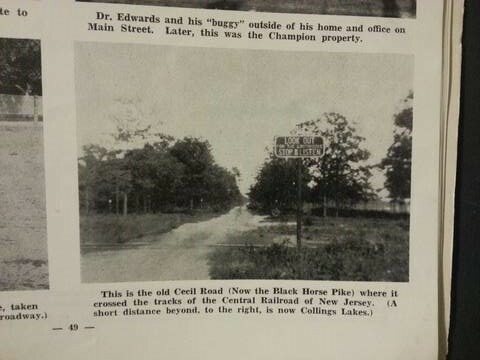 There’s a picture of the Black Horse Pike railroad tracks right before you hit Collings Lakes and the Pike is a DIRT ROAD! The advertisements of local businesses and products are great. 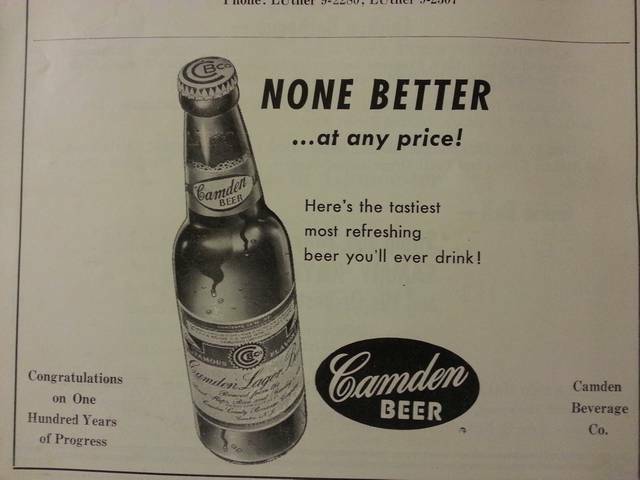 I wonder if Camden Beer really was the tasiest, it's sad that I'll never know. 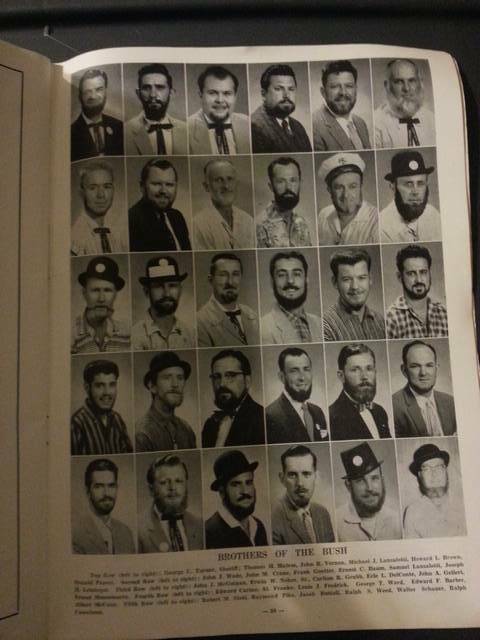 I'm not exactly sure what the Brothers of the Bush were but I'm assuming it has something to do with beards and awesome hats. Definately my favorite page in the program. I think it’s going to be hard to top this as my favorite and yet I can’t wait to see what other treasures are buried in the uncatalogued bins!